Paris: The State Bank of India Paris, which has boasted of full range of International Banking products and services and has been showcased as a Fortune 500 entity with the Government of India as its single largest shareholder with 58.60% ownership, is now being shut down as it has become a non-performing branch due to continuously shrinking investment. SBI Paris was in news two years ago when Commission des sanctions (Commission of Sanctions) of France had held it guilty of large-scale irregularities over a prolonged period in management of accounts, banking functions and more particularly unreconciled entries and insufficient control on daily entries and consequently the bank was slapped a fine of Euro 300,000. A close scrutiny of complaints against SBI Paris that resulted in the slapping of the punitive fine showed that efficiency had been given a go-bye and officers, who were obviously incompetent, were being obliged and given foreign postings by SBI bosses. 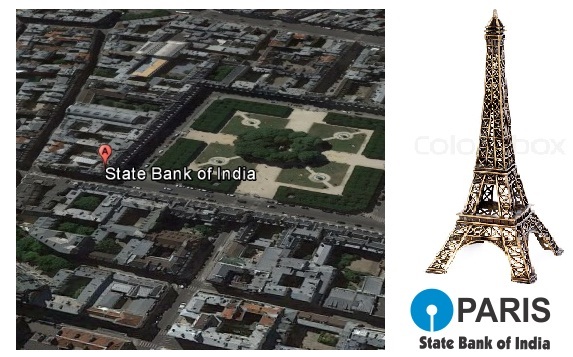 This case revealed how local law in a foreign country was being violated and there was anarchy in SBI Paris. According to a source, who preferred anonymity, about a dozen employees of SBI Paris branch are being laid off and a notification to close the Paris unit of SBI has already been issued. When contacted, insiders told Newsroom24x7 that SBI Paris was being run as a branch of any Indian Bank in a rural setting in India and not as a bank equipped to compete with other top ranking banks in Paris. The SBI management failed to apply the criteria of posting only those in SBI Paris who had basic speaking and comprehension skills in the French language. SBI Paris also did not bother to introduce a seamless software that could handle all banking needs, including customer banking, core banking, payments and transactions and risk management. Such a software would have helped the bank face competition by ensuring fast delivery of products, quick response to ongoing changes in the market, high customer acquistion rates, increase in revenues and lower operating costs. Consequently, SBI Paris was lagging behind in terms of competition and was finding it hard to drive growth by using insights that enhance user experience.